Bijou Lovely: on the design wall. 13 on the design wall. Just wanted to share what's on my design wall this week! This is a very old do.Good Stitches quilt that I really need to finish. 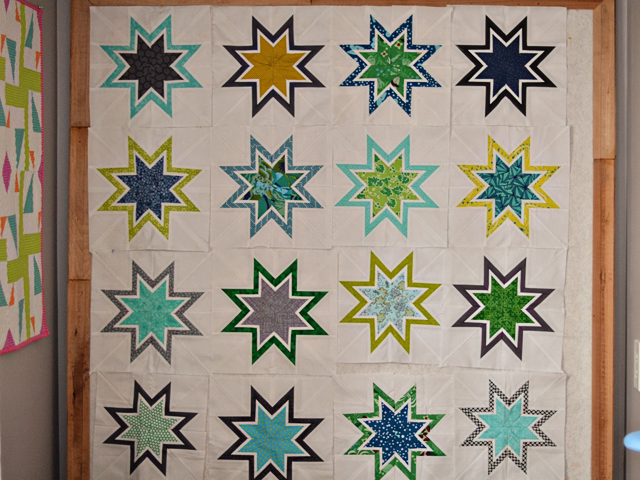 (You can find the tutorial for the Lone Starburst blocks here). I'm determined to finish this quilt this month, so I started making the last few blocks yesterday, and plan to spend some time paper piecing tonight as well. These blocks take awhile but the end result is pretty amazing! Looking forward to seeing this quilt done. I'm embarrassed that it's taken me so long! they are wonderful blocks! Definitely have to check those out. Wow, it's going to be stunning! This is one of my favorite star blocks. 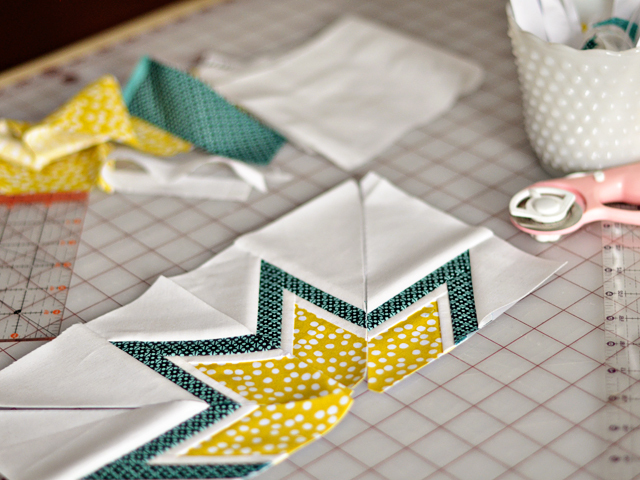 It's turning out amazing in your quilt! Lovely color combination and blocks! It's a gorgeous block and perfect for a bee as you wouldn't necessarily want to make all the blocks for a quilt. This is going to be a beautiful quilt! Very pretty, Holly! Nice job to you and your hive-mates. This is so pretty! GREAT colors! I'm in love once again!!! So simple and so adorable!!! Wowie this is such a pretty quilt. And I love the color for your err...chemistry pillow. They are awesome.I want to try it.Happy quilting! !